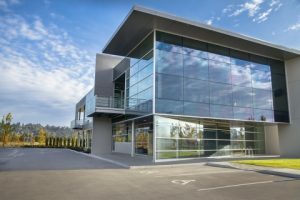 Commercial Glass Seattle: What Are Your Commercial Glass Needs? 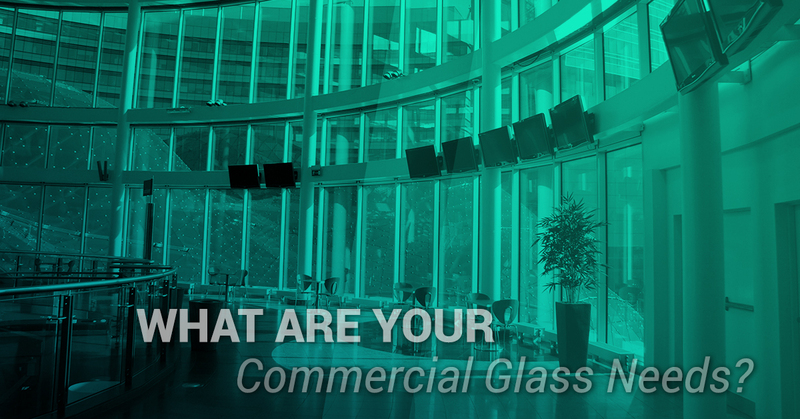 What Are Your Commercial Glass Needs? The windows in your office aren’t something that is typically noticed from day to day, neither are the glass tables, or shelves. Unless they become cracked or chipped. 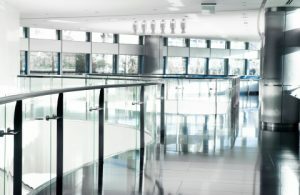 Modern business offices use glass in a way that makes the space more open and inviting to both employees, visitors, and gives a rich, elegant look to executive offices, lunchrooms, or reception areas. But what do you do when your existing glass becomes cracked or chipped? Or do you want to remodel your outdated office with glass walls, sliding glass doors, or new glass windows? Pro-Wide Glass wants to be your source for all of your glass needs, from commercial glass repair and replacement to designing new commercial storefront doors, glass shelves, or glass tables. Take a moment to look around your office and notice how many rooms or spaces have glass in them. Take a closer look to inspect that glass for chips or cracks. The entrance to your business or doors to offices get a lot of use throughout the day. It may not have happened yet, but when someone isn’t paying attention and accidentally walked into a sliding glass door and it comes crumbling down, it is imperative to have the door replaced as quickly as possible. 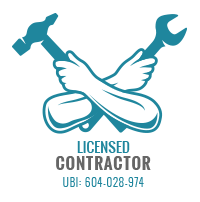 Not only for the safety of your employees but the safety of clients and visitors who come into your business every day. Not only does it look unprofessional to have broken glass in your office, it can lead to many safety hazards. Even a simple crack in a door can be a safety hazard. Chips or cracks in glass can grow with each bump into the door, or each time the door is opened or closed. Don’t wait for these chips or cracks to get worse and worse each day, call a commercial glass company that knows how to professionally repair the glass. When the time comes to repair or replace your glass storefront, make sure it’s done right. The new glass table in your conference room shows how successful your business is. But what does it show when a corner has been chipped or a crack is running down one end of it? Pro-Wide Glass has the commercial glass experience that can repair those chips and cracks and make your conference table look as good as new. If you walk around Seattle and notice how many businesses have glass storefronts, and take a walk through the inside of the businesses, you’ll notice how elegant and classy they are. Glass creates an openness and makes the space inside more inviting and full of light. If you want to achieve this look in your business, Pro-Wide Glass is here for you. From small-scale projects to whole office renovations, we can give your business a makeover. Do you have a retail store and want a wide display case in the front window? Are you a law office and want a makeover for your reception area? Are you a realtor who wants to showcase images of homes that have been sold? There are many advantages for every kind of business to have glass as a storefront. Don’t forget the inside of your business, either. Frosted glass or patterned glass walls can create separate areas in an office while still keeping the open and light feeling in the space. Display shelves or glass tables, Pro-Wide Glass can design, create, and install glass products throughout your office. No matter whether you need commercial glass repair, replacement, or glass design services, Pro-Wide Glass has the experience and knowledge it takes to complete beautiful and elegant projects. No project is too small or too complex. Call us today for any of your commercial glass needs.